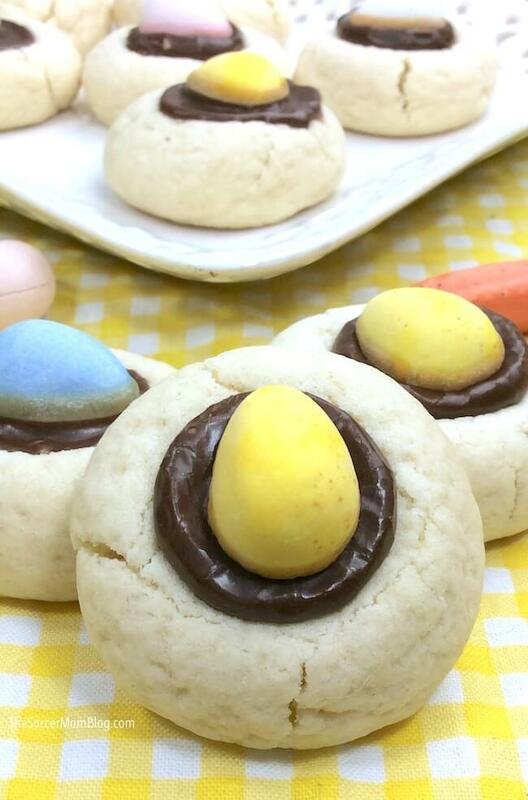 Mini Cadbury Egg Cookies are a festive thumbprint cookie just for Easter! In my humble opinion, an Easter basket is not complete unless it contains at least one Cadbury Creme Egg! 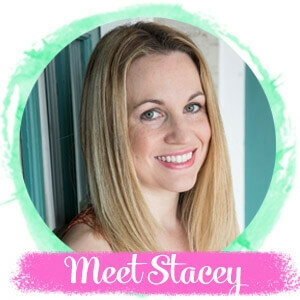 Last year my best blogging buddy Jennifer at Sugar, Spice, & Glitter made me this over-the-top Cadbury Creme Egg Dessert Lush — seriously one of the most decadent bites I’ve ever seen! 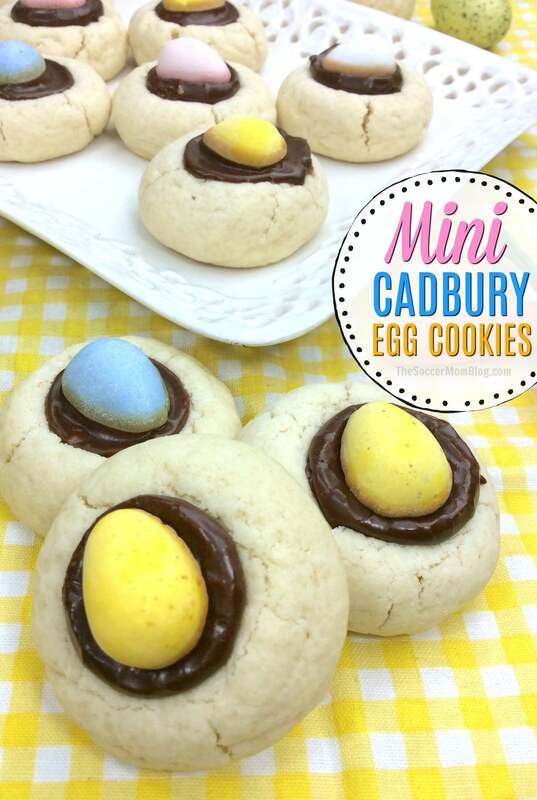 This year, we made these simple Mini Cadbury Egg Cookies, using the candy-coated solid chocolate Cadbury eggs. 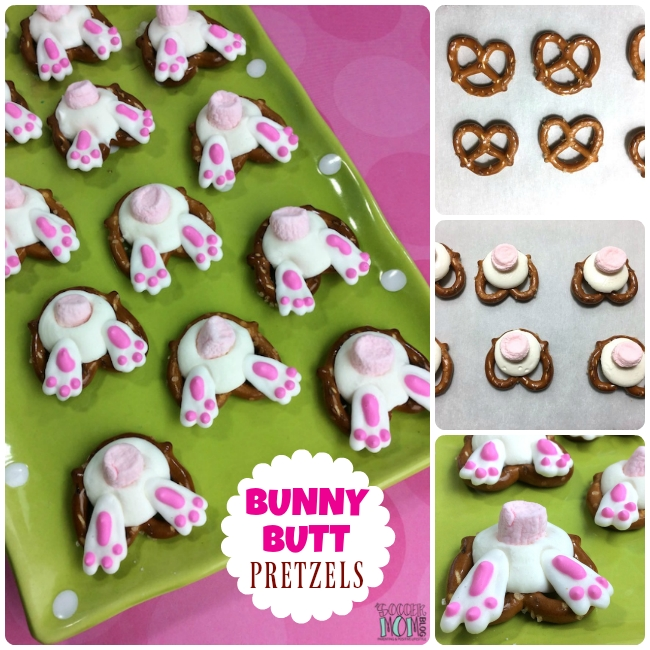 They’re a festive twist on thumbprint cookies just for Easter — so much fun to bake…and eat! 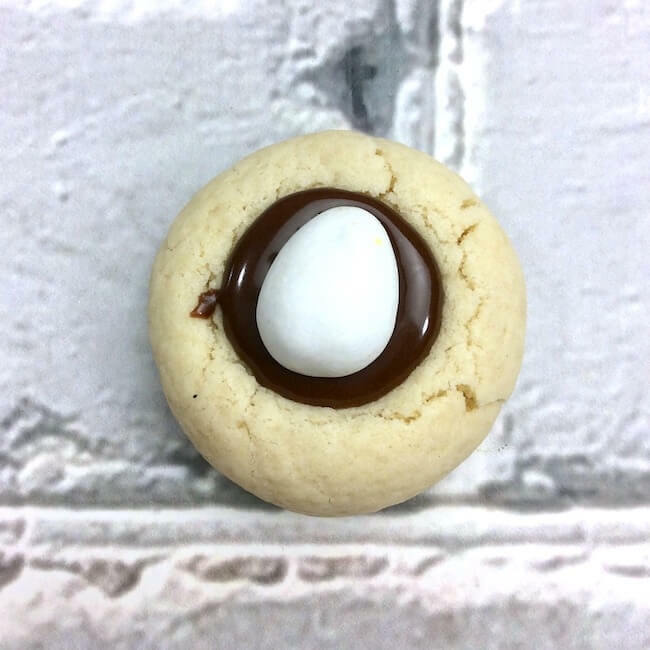 These bite-sized Mini Cadbury Egg Cookies are perfect for parties, teacher gifts, or just to enjoy together as a family. Hope you love them too! 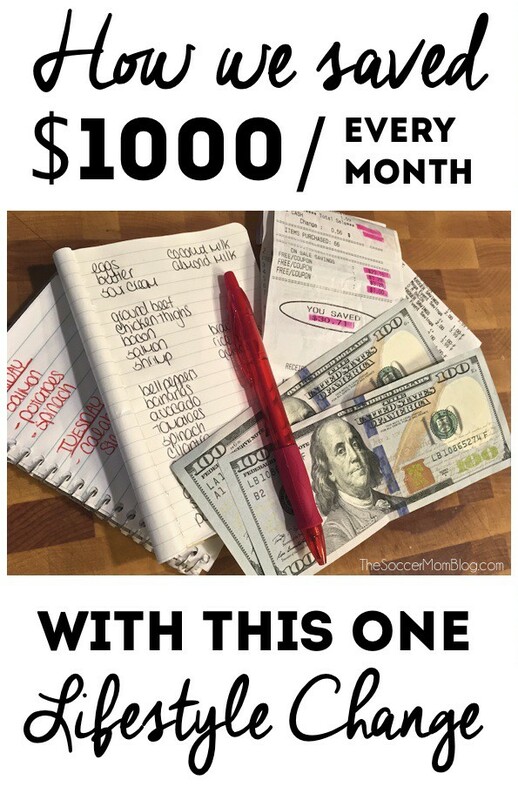 Keep reading for photo step-by-step instructions and cooking tips, then scroll to the bottom of post for the full printable recipe and ingredients list. 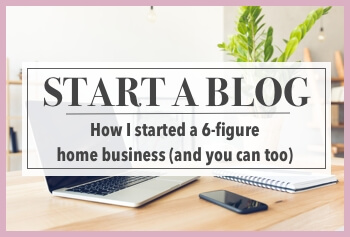 I like to see how things are made too! 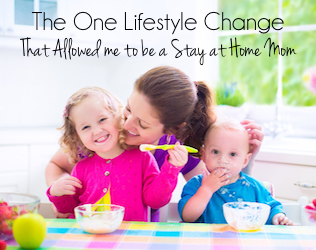 You can also click here to jump to the printable recipe. I’ve included shop-able ad links for your convenience in re-creating this recipe; disclosure policy available here. Cream 1 egg, 1/2 cup softened butter, 1/2 cup granulated sugar, and 1/2 teaspoon vanilla extract with a stand or hand mixer until smooth. In a separate mixing bowl, sift together 1 1/2 cups flour, 1/4 teaspoon baking powder, and 1/8 teaspoon salt. Gradually mix dry ingredients into wet ingredients until fully incorporated. We use an ice cream scoop or melon-baller to make our cookies, then roll them by hand. Place about 1 1/2″ to 2″ apart on a prepared cookie sheet. TIP: We love these silicone baking mats because they’re non-stick and you can use them over and over for all your baking projects. While cookies cool (to room temperature) make the chocolate frosting. Add 3 TB cocoa powder, 1 TB melted butter, 1 cup powdered sugar, and 2-3 TB hot water to a medium bowl and mix until smooth and creamy. 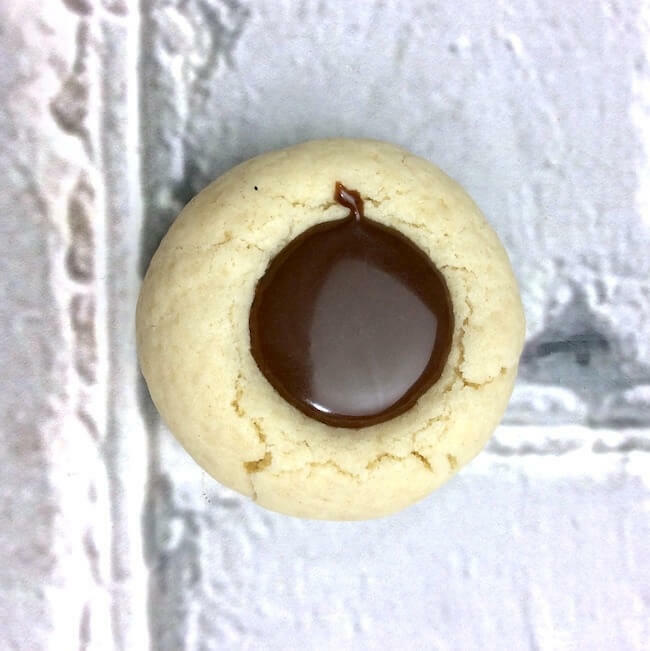 Spoon the chocolate frosting into the thumbprint of each of the Cadbury Egg Cookies. Then gently place one mini Cadbury Egg into the frosting, while still soft. Allow frosting to set completely then enjoy! 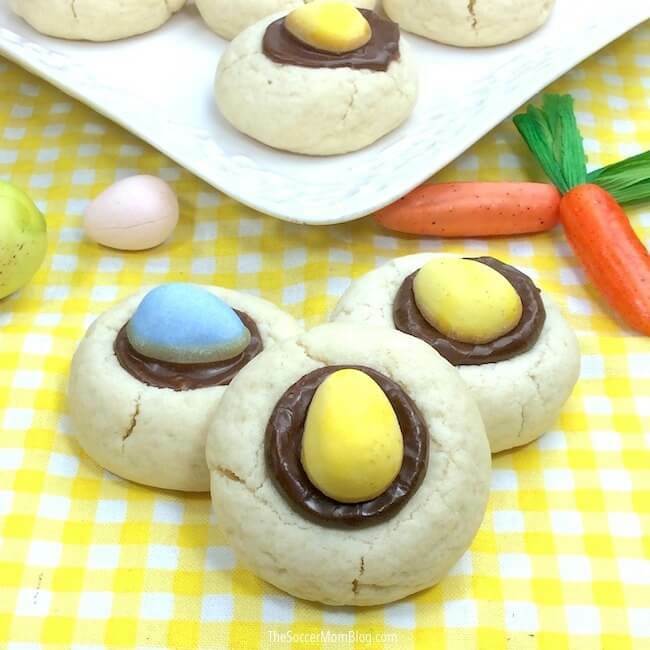 Mini Cadbury Egg Cookies are a festive thumbprint cookie just for Easter! 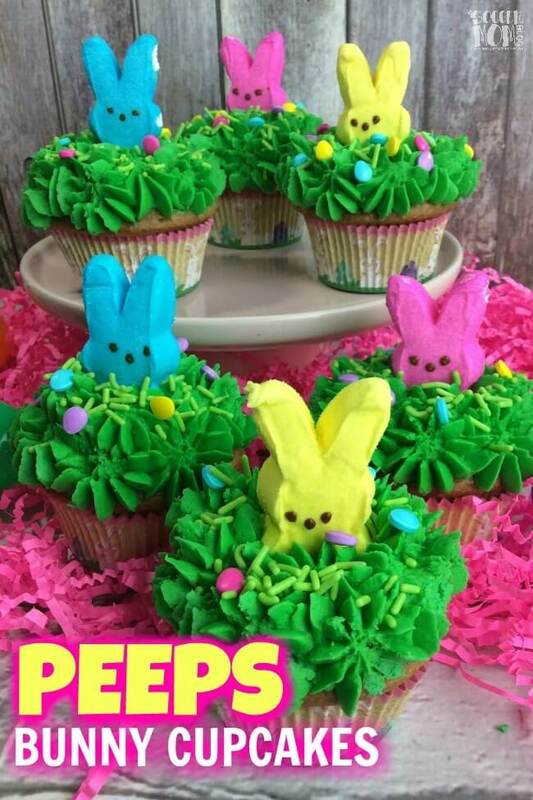 The perfect bite-sized spring treat to make for family celebrations, classroom parties, or just for fun! In a standing mixer, beat together butter and sugar until creamy. Mix in egg and vanilla. In a separate medium bowl, sift together the flour, baking powder and salt. Gradually pour dry ingredients into wet ingredients, continuing to mix until well combined. 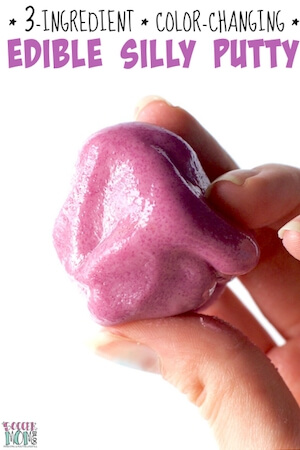 Using a small ice cream scoop, scoop out dough and roll dough into small balls. 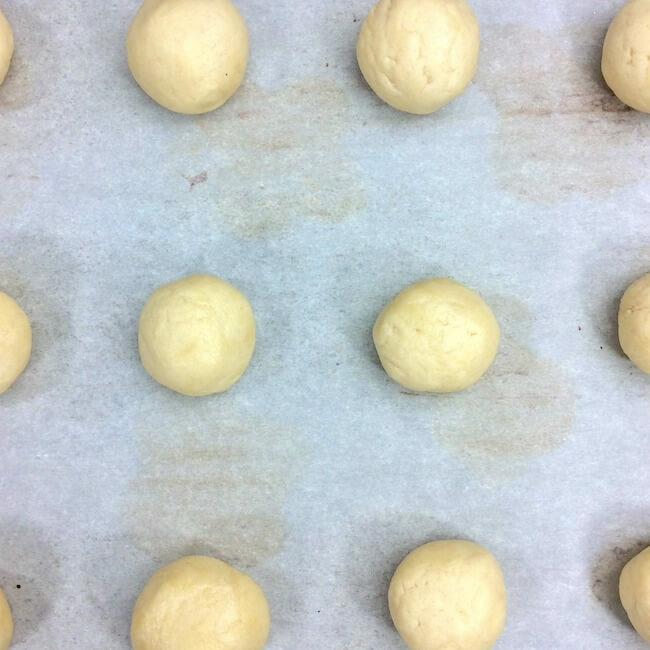 Place these dough balls onto the cookie sheet and bake for 8-10 minutes. 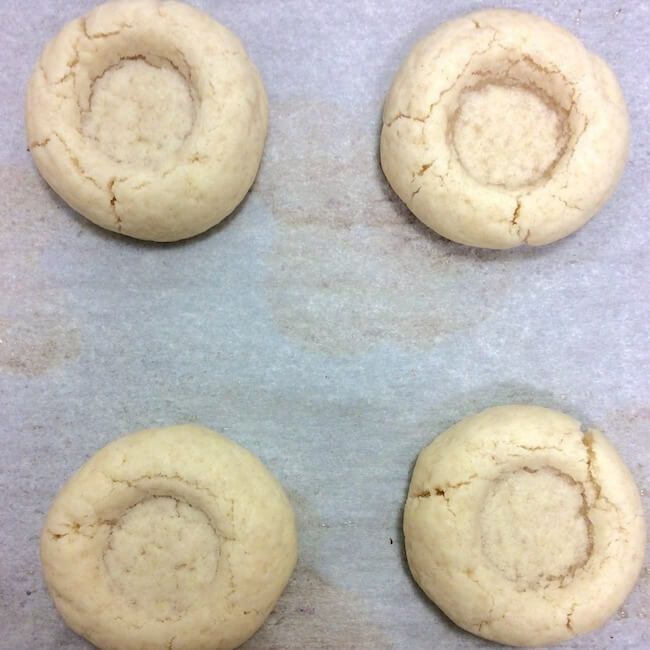 Remove from oven and quickly press thumb into the top of each cookie. Use caution, as cookies will be hot - I wait until they've cooled slightly. Place cookies on wire cooling rack until they reach room temperature. Melt butter in small mixing bowl in microwave, then pour into a larger mixing bowl. Add cocoa, powdered sugar, vanilla and hot water. Mix until smooth and creamy. 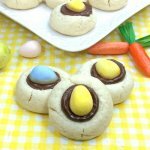 Spoon the chocolate frosting into each thumbprint and top with a mini Cadbury egg. Press egg gently to secure in chocolate. Allow to set completely and enjoy!